Al was selected as an ACYD delegate in 2016. Dr Matt Baker is a Scientia Research Fellow in the School of Biotechnology and Biomolecular Sciences at UNSW Sydney. Matt was a Delegate at ACYD in 2015 in Brisbane. Matt completed his DPhil at Oxford University as a John Monash Scholar studying the bacterial flagellar motor that makes nearly all bacteria swim and now investigates the origins and self assembly of molecular machines, with active research collaborations at both Peking and Tsinghua Universities. Matt has a strong love of radio and follows the media closely: in 2015 he was a Top 5 Under 40 Scientist in Residence at the ABC, and has since produced content for Radio National's Health Report, Science Show, Saturday Extra, and Earshot. He was embedded at the Sydney Morning Herald as the Google News Initiative Fellow in 2016. Outside science and the media, Matt has fenced internationally for some time, he represented Australia at the 2014 Commonwealth Fencing Championships in Scotland in 2014, but has switched sides to represent New Zealand at the upcoming Commonwealth Fencing Championships in November 2018. Jason is the Chief of Staff to the Victorian Minister for Trade and Investment, Innovation and Digital Economy, and Small Business Philip Dalidakis. He was previously the Senior Adviser to the Minister on trade and investment issues. Prior to joining the Minister’s private office, he was the Senior Adviser of Global Engagement at the Business Council of Australia, where he led policy development and advocacy on trade and investment related matters. A former Australian diplomat at the Department of Foreign Affairs and Trade (DFAT), Jason has worked in a variety of roles including as an international trade and climate change negotiator, international lawyer as well as being posted to our Embassy in Japan. Before joining DFAT, Jason was a public policy and legal analyst at the Asian Development Bank in Beijing. He holds a Master of Public and International Law from Melbourne University, was an Asialink Leadership Fellow and speaks Mandarin and Japanese. 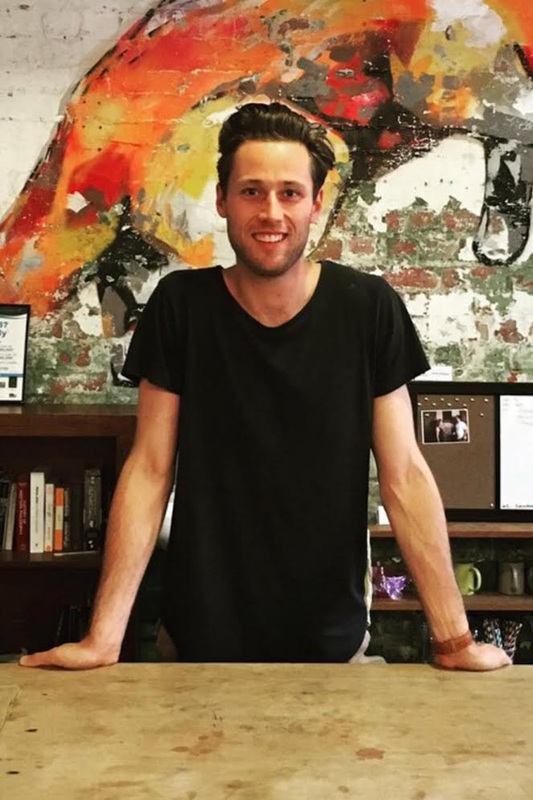 Jason was selected as an ACYD delegate in 2016. Thomas’ professional experience spans a range of China related roles in education, government and business. He has over a decade of experience engaging with China, including five years spent in-country. In Thomas’ current role as Enterprise Solutions Manager at Asialink Business’ China Practice, Thomas is responsible for liaising with stakeholders from a variety of sectors to assist them understand the market, expand or grow in China. Prior to joining Asialink Business, Thomas worked with a number of China related organisations, including the Confucius Institute at the University of Melbourne, Australia China Business Council, Australia China Alumni Association and the Australian Pavilion at the Shanghai World Expo. Thomas is passionate about promoting the Australia-China relationship. He is a member of the Australia-China Young Professionals Initiative (ACYPI) Melbourne Committee and was selected as a delegate at the 2016 Australia-China Youth Dialogue (ACYD) in Hong Kong which was a transformative experience both from a personal development perspective and also connected him with a powerful network of China engaged emerging leaders that are looking to make a positive impact on the bilateral relationship. Thomas is also an avid fan of Australian Rules Football (AFL), and has proudly played for the Beijing Bombers, Shanghai Tigers, and the China Reds. Mr. Shuang Li is a Biomedical Engineering PhD at The University of Melbourne after completing his Bachelor of Engineering with first class honour. He has 5 years working experiences in Engineering, Finance and technology startup, such as IBM, Credit Suisse and Flippa. In 2017, He moved into life science Venture Capital sector and worked at Bioclub, the leading biotech incubation platform in China, and Brandon Capital, the largest Australia life science Venture Capital firm. As a young entrepreneur, he co-founded EstateBaron, an online property development crowdfunding platform targeting retail investors in 2015. He also founded Melbourne Accelerator Program MedTech meetup, a platform to connect professionals/research/entrepreneurs in biotech startup space. In his PhD, he’s working on the next generation of coronary artery stent which aims to improve the efficiency in heart disease treatment. Shuang was selected as an ACYD delegate in 2016. 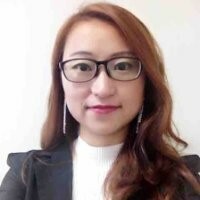 Christiana (Xiaoyan) Liang is a currently a lecturer in the School of Business and Law at CQUniversity Australia, teaching business-related subjects such as critical thinking and managerial decision-making, innovation, and managing human resources. Her research interests include Englishization-adoption of English as the official organizational language, Chinese immigrant professionals’ acculturation process, business ethics and leadership. Her ties with ACYD began in 2010 when she was selected as one of the 15 Chinese delegates to attend the inaugural ACYD in China. Having had a modest and monocultural upbringing, the bilateral dialogue widened her views and challenged some of her deep-seated cultural values. She remained involved in the ACYD organizing committee in 2012 and 2013. Having been inspired by the amazing over-achieving peers she met during the dialogues, Christiana made the decision to pursue a higher degree in Australia in 2014. She believes that the pursuit of truth is the highest moral order. Christiana holds a Doctor of Philosophy (Management) from Monash University, a Master’s degree in Intercultural Business Communication from Shanghai International Studies University and a Bachelor’s degree in English Language and Literature from Central South University in China. She worked in the industry (marketing and consultancy) in Shanghai for two years. She was also the winner of ANZ Future Leader Award in 2015. Renae is a public policy professional with experience in both the public and private sectors. The Australia-China relationship has been a key factor throughout much of her career. She previously worked for Jemena, an energy company majority owned by China’s State Grid. She also worked in the China Policy Unit and secretariat to the Foreign Investment Review Board at the Australian Treasury. She has advised ministers and senior government officials on a range of policy, economic, trade and investment issues—including the China-Australia Free Trade Agreement. Born in Guangxi Zhuang Autonomous Region, she has spent considerable time studying, teaching English and travelling in Greater China. In both a professional and personal capacity, she has an interest in seeing the Australia-China relationship further develop and strengthen. She takes a particular interest in potential opportunities for collaboration between Australia and Greater China on common opportunities and challenges—including on climate change and energy, regional security and education. Renae has a Masters of International Relations from the University of Melbourne, with a particular focus on trade, international political economy and the United Nations. She has twice studied internationally on exchange—at UCL in London and Sciences-Po in Paris. Renae was an ACYD delegate in 2017. As Director of Modun, Mike has been instrumental behind some of the largest Sino-Australia business deals in areas including sports, red wine and commercial estate. He is also the Founding President of Australian Hubei Chamber of Commerce that have organised Lunar New Year Gala Nights for 2500 Victorians every year in the past six years across Melbourne’s major performing theatres. Mike served on the Ministerial Advisory Council to Minister for Trade & Investment, Innovation & Digital Economy, and on the Council to Minister for Sports, Tourism & Major Events at the current Victorian Government, as well as President at the Chinese Community Council of Australia (Victorian Chapter) between 2015 to 2016 that organised “Piercing the Bamboo Ceiling” National Conference and planned Victorian Chinese Community’s “Walk from Robe”. A Board member at the Museum of Chinese Australian History, an Advisory Council Member at Victoria University’s Business Confucius Institute, mike was also the first Senior Advisor on Multicultural Affairs (2010-2013) to the Premier of Victoria - the Hon. Daniel Andrews. 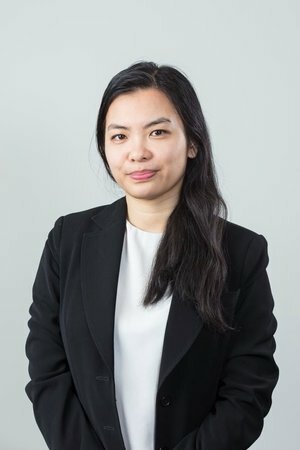 Formally an international student from China, Elva is an Australian-qualified lawyer with a Master of Laws (LLM in International Economic Law) from Geneva, Switzerland. With a demonstrated history of working in the maritime industry and international trade, she is highly skilled in dealing with cross-border transactions and international dispute resolution especially international commercial arbitration. Fluent in English and a native Mandarin Chinese speaker, Elva has developed a specialty in China related matters. Elva thrives in multinational business environment and global legal context, in which she can synthesise her trained legal knowledge, strong commercial acumen, innate cultural intelligence and positive leadership to make a meaningful contribution to the growth of the business she is working for. In addition to working as a lawyer, Elva is the Founder of Peace Lab (www.peacelab.com.au), which curates and conducts experiential workshops that synthesis ancient Eastern wisdom teachings and contemporary Western science theories as a unique agent for well-being and positive changes. A long-term meditator, trained in laughter yoga and positive neuroplasticity, Elva created Peace Lab to deal with stress, anxiety and negative self-talks, initially as an international student studying alone in a foreign country and then as a lawyer working in highly stressful jobs. Although Elva used to be so serious, nowadays she feels lucky to be a “Laughing Zen Lawyer”, whereby she can share her passion for well-being and self-understanding through the creative endeavour of Peace Lab, while still being able to work as a lawyer for a global shipping line. Elva was an ACYD delegate in 2014.